Shipping container homes have steeled my interest lately. Container housing is growing in popularity as people continue to downsize and the tiny house movement expands throughout the United States. Today, many tiny houses are being constructed from recycled freight shipping containers, which are the perfect size for building a small house! These tiny homes — which usually range in size from 200 to 800 square feet — are not only more economical to own than larger houses, but they’re also more environmentally friendly. 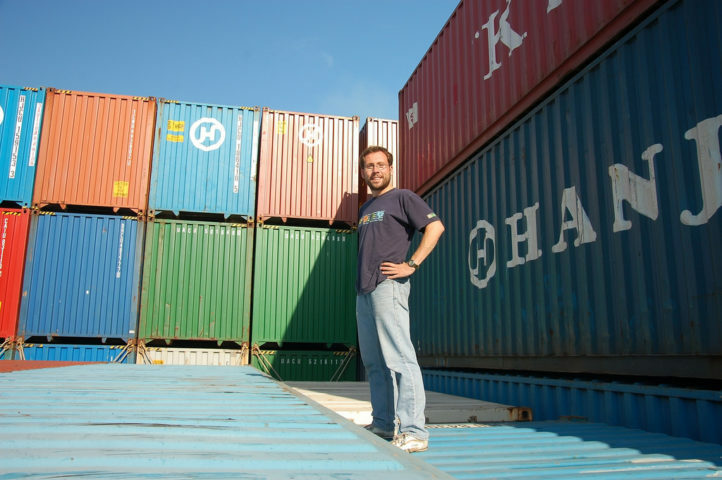 The large storage containers are used for transporting goods by sea. They’re stacked on huge freighter ships and are transferred to the backs of tractor trailers, where they are dispersed to all corners of the nation. Once the goods within the shipping containers have been delivered at their destinations, the steel boxes are usually disposed of at port because it’s often cheaper to scrap them than ship them back to Asia, where most shipping containers originate. Here are 18 breathtaking homes built from $1,800 shipping containers. Many container homes are made from recycled steel shipping containers — though it’s common for people to buy new shipping containers to build their homes. Some prefer new containers over recycled ones because they don’t have dents and scratches, and there’s no risk that the container carried toxic materials during its former life. Since most container houses are smaller than standard homes, less land is required to build a container home. Many container homes are outfitted with solar panels on their roofs to help reduce traditional fossil fuel energy dependence and keep the home off the grid. Steel is recyclable — many container homes are made from shipping crates containing recycled materials, and when a container home is no longer needed, its steel can be recycled. It certainly seems like shipping container homes are the solution for building cheap, durable, eco-friendly small houses. But are they really all they’re cracked up to be? Small shipping container homes are often much cheaper to build than a conventional home of the typical size. The U.S. Census Bureau estimated the average size of a new home in the United States was a whopping 2,690 square feet in 2014. Compare that to the size of a container home — which may range between 200 and 800 square feet — and the cost match-up can begin. A 40-foot-long shipping container may cost between $3,000 and $7,000, and each container of that size provides approximately 320 square feet of floor space. The total cost for finishing a container home ranges between $75 and $90 per square foot — still far less than the average of $150 per square foot to build a new home these days. Of course, land prices play a huge role in figuring out the cost of a new container home. But, the key thing to remember is that you’ll need far less land to build a small shipping container home than a conventional house of average size. Shipping container homes are usually built offsite and delivered to the buyer — with setup completed in as little as 1 day. That’s about the same speed that other modular buildings are installed, and much faster than the 6 to 9 months it can take to build a typical wood frame or concrete block home of standard size. While your new container house may be installed in only a single day, it can take much longer than that to finish container homes in the factory. On average it takes about 2 months to convert a raw shipping container into a livable home — much less than the time it takes to build a conventional house! In addition to recycling unused steel shipping containers, there are several other environmental benefits to building a container home. For one, you won’t need to use bricks, mortar, stone, or other construction materials associated with building a standard home, lessening the strain on natural resources. There’s also relatively little wood used in finishing a container home — a definite environmental advantage for those who wish to minimize their ecological footprints. According to at least 1 estimate, there are 17 million steel containers in existence, and 11 million of them aren’t in use! Assuming each of these shipping containers weighs about 7,000 pounds, we could potentially keep 77 billion pounds of steel out of the scrap heap if each of the 11 million unused shipping crates was turned into a container home. 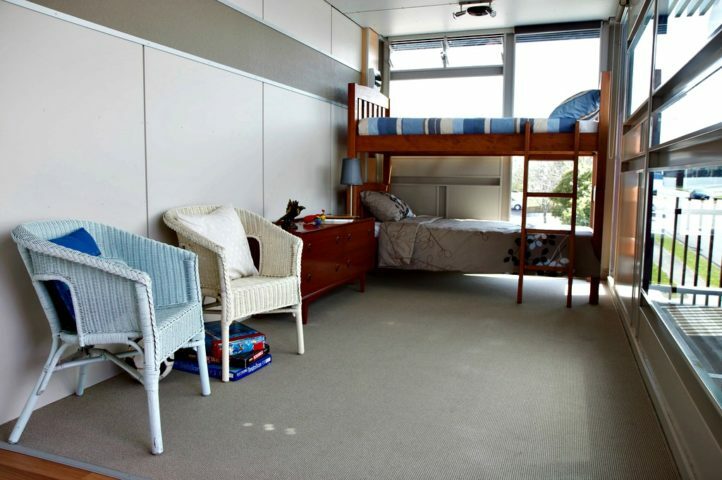 Remember I mentioned that container homes can be cheaper to build than a standard home? It’s true, it can cost less to build a container home than a conventional house. But it can also cost more — a lot more. While many container homes are small, some people combine multiple containers to make a larger house. Depending on the size of the container home and the complexity of construction and refinishing, it can cost as much or even more to build some storage container homes than standard homes of a similar size. In some cases, it can even be cheaper to build a basic wood frame home than an elaborate container home. 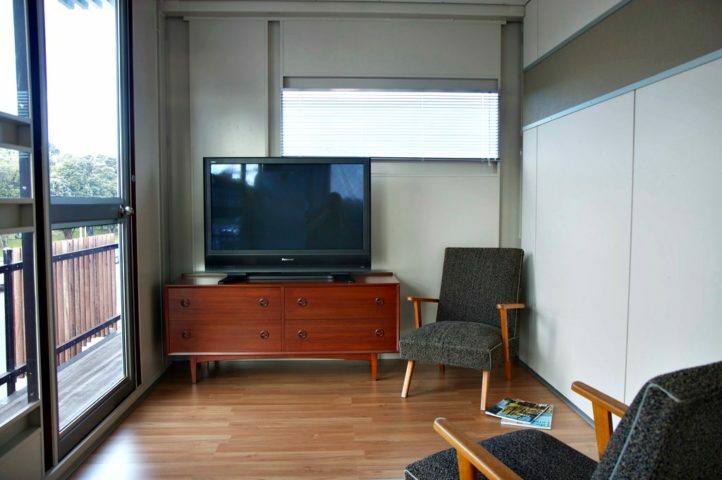 And when it comes to more traditional forms of pre-fab housing — such as mobile homes and trailers — container housing is also often the more expensive option. For example, the average price of a new manufactured home is $64,000, minus land costs. Some manufactured home dealers are selling last year’s stock for as little as $20,000. 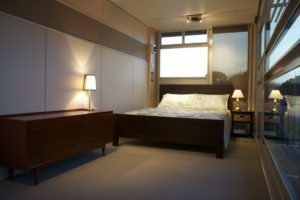 The container housing industry is still relatively new, so it’s difficult to find contractors who have much knowledge and experience in building container homes. Of course, there are some great container home architects and builders. Many of them are located on the West Coast and in New England. In parts of the United States where container housing is less common, it can be more challenging to find an architect and builder who designs and constructs shipping container homes. Luckily, many container home architects and builders serve their clients on a nationwide basis. So, if you’re looking for a container home builder and can’t find one that’s locally based, consider reaching out to a nationwide container home company. 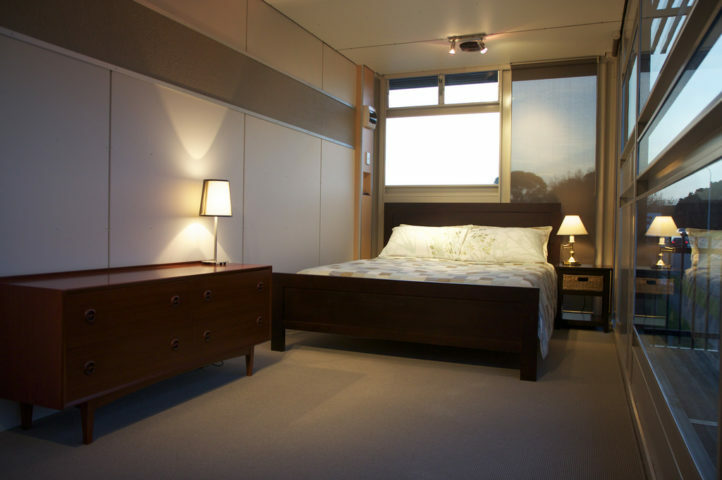 Acquiring the proper zoning for a container home can be challenging. After all, you can’t just stick a container home in your neighborhood without getting zoning approval. If you’re looking to build a container home in a high-end suburban neighborhood, you may be out of luck. Construction of container housing (like most types of modular and pre-fab homes) isn’t necessarily approved in many neighborhoods — especially deed restricted communities that stipulate traditional wood frame or concrete block homes. Storage container homes are most often approved for construction in urban neighborhoods with smaller lots and more eclectic home construction styles. Once you’ve gained approval to build a container home, you’ll still have to get permits for things such as electrical hookups, water and sewer connections, and other standard construction matters. In other words, building a container home usually requires the same types of permits as a standard home, yet in many neighborhoods they’re more difficult to receive zoning approvals for — something to keep in mind before jumping on the container home bandwagon. Some container homeowners are putting their tiny houses on wheels, allowing them to travel — and live — virtually wherever they want (similar to RVing). Here’s the story of one guy who built a 160-square-foot home in 20-foot-long container. 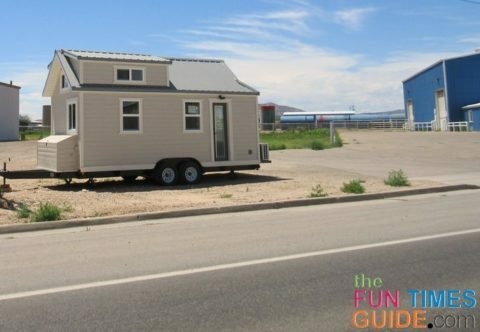 It was built on the back of a trailer chassis and the home comes with a complete kitchen, bathroom with fully operable toilet, bedroom, and flat-screen TV. Of course, there are challenges to putting a container home on wheels — such as outfitting it with a self-contained water and sewage systems and building it short enough to clear highway overpasses and traffic signals. Here’s a shipping container home that’s also an RV. And here’s a tiny house that automatically expands with an RV-inspired slideout. 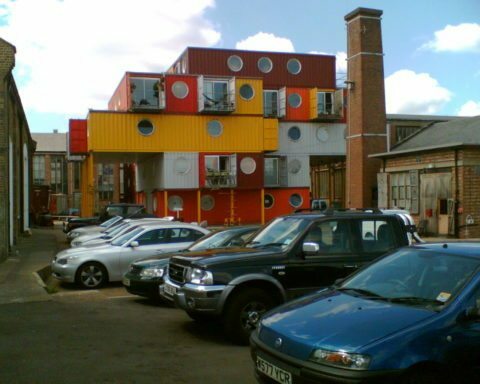 Container housing isn’t the only purpose for upcycling shipping containers into buildings. Some well-known companies are building their facilities in containers, too. Seattle-based coffee brand Starbucks has built several stores using converted shipping containers and plans to build more of these LEED-certified coffeehouses in the years ahead. Meanwhile, Taco Bell built its first container store at the South By Southwest music festival in Austin, Texas. More Taco Bell container stores are surely on their way, as the company plans to open 2,000 new restaurants in the United States through 2022. It’s not just the restaurant industry that’s adopting container buildings. Even hotel giant Marriott is working on container hotel prototypes that may someday be used for the company’s future hotels. When it comes to using shipping containers as dwellings and offices, the possibilities are limitless!